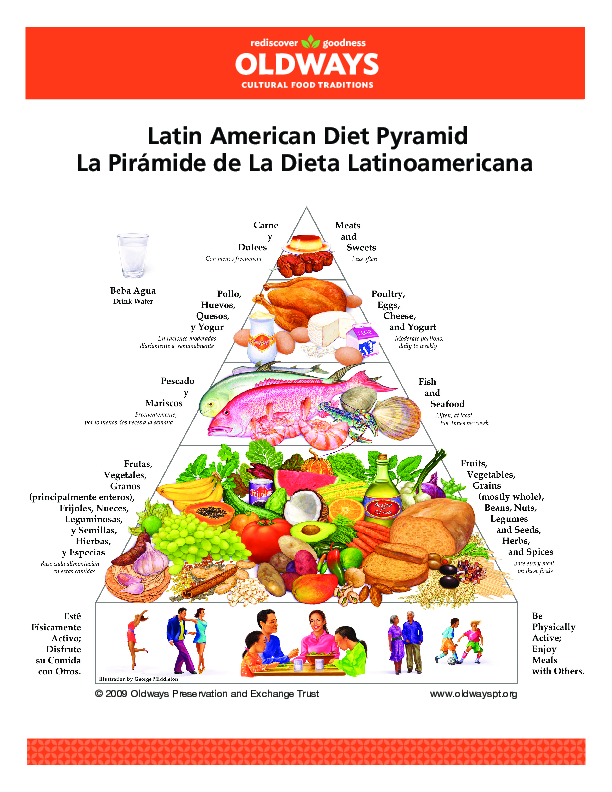 The Latin American Diet Pyramid is third in the series of traditional diet pyramids developed by Oldways. It was originally released at the Latin American Diet Conference in El Paso, Texas in 1996. 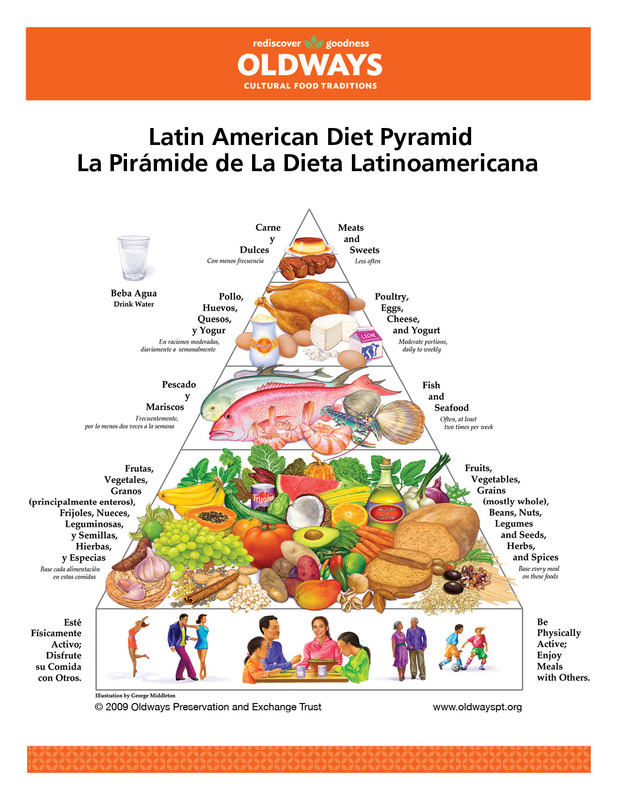 This Latin American Diet Pyramid illustrates for today’s consumers how to eat the healthy and traditional Latin American Diet. It is an educational guide which promotes a diet of richly ﬂavorful, aﬀordable, and easy-to-prepare foods, and reﬂects the great range of culinary traditions, foods, and ﬂavors of this vast area. Variations of the Latin American diet have traditionally existed in the parts of Latin America where maize (corn), potatoes, peanuts, and beans are grown, including modern-day Mexico, and the other countries in Central and South America. This eating pattern is a blend of the broad traditional diets of three cultures: the indigenous people (Aztecs, Incas, and Maya, and other Native Americans); the Spanish, who arrived in the 1500s; and the Africans, who originally came as slaves.